We all have a dream vacation (or 20) in mind, stored in an ongoing bucket list. If and when you choose to pursue that dream with your kids, consider one of these bucket list family vacations. Perhaps it's an outdated vision of the Brady Bunch episode where the Brady family rides down to camp in the Grand Canyon. But the idea of doing something that has been done in these parts for more than a century just screams "try it before it's too late!" The Grand Canyon is something every person should see in person once in their life, for its scope cannot be imagined until seeing it first hand. You could also enjoy a rafting trip through the Canyon, floating down the river and getting a view from the bottom up! Well, maybe a sunset so you don't have to wake the kids too early, but catching one or the other standing at the top of a volcano looking down into its crater is definitely a once-in-a-lifetime experience. Luckily, the Hawaiian Islands are sprinkled with volcanoes, and happen to be exotic, warm-weather, family-friendly destinations that are dream vacations in themselves. Try the Big Island's Volcanos National Park. Tour groups offer rides up to the tops of volcanoes so you don't have to hike it, but if you feel adventurous, some tour groups let you hike back down, or even bring bikes for you to bike back down. (Save both for the older kids.) If you really want to splurge, take a helicopter ride to the top. Any child bewitched by Harry Potter (or adult, for that matter), will get a kick out of spending an evening in a bona fide castle. Something about arriving at a castle and being inside its stone walls with woven rugs and armor making up the decor is magical to all ages. Thankfully, this dream isn't too hard to come by if you head to Europe, where centuries-old castles have been converted into family-friendly resorts. You'll find several castle resorts in Germany (try the Fairytale Route), France, Scotland, Ireland and England. 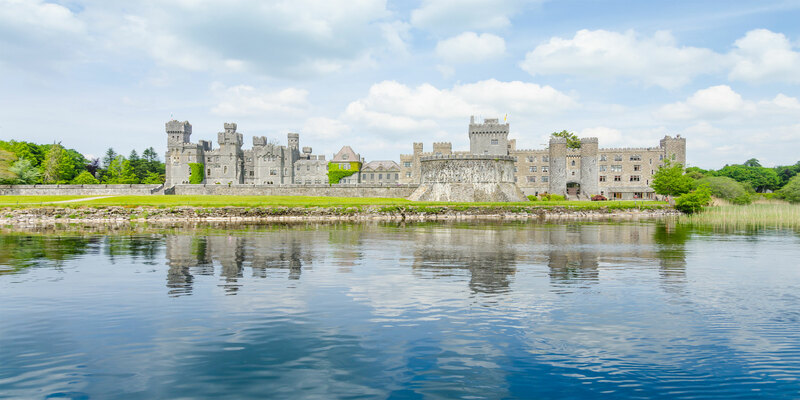 One of our favorites is Ashford Castle, where old and new are combined to create a luxurious experience. The easiest way to check this one off the list is a trip to New York City to climb the hundreds of stairs to the crown of the Statue of Liberty. Or, you can fly to Paris to ride the elevator up to the top of the Eiffel Tower. Both cities are easy to get to with airfare deals always in the works, and both cities have an array of things to see and do with the kids. Of course, if you really want to aim for a destination further afield, Sydney Harbour Bridge calls, as does China's Great Wall. Who hasn't thought of going on safari with their kids? It's the ultimate experience for bonding as you spot wild zebra, giraffe and lions. These days, tour companies are making it easier for families to enjoy safaris together in settings as simple as mobile tents or as luxurious as "glamping" excursions. Most safaris will not allow children younger than 6, which is OK -- you want your child to be able to appreciate what they will see and have the patience and ability to stay silent when it comes to animal sightings. Get closer to making it a reality with a look at our 10 Best African Safari Lodges for Families. The aurora borealis is a natural phenomenon where light dances across the sky, and it only occurs closer to the North Pole; the South Pole gets a harder-to-spot version. The best time to witness the occurrences is between October and May. One of the best places to witness the Northern Lights is Norway, where you can also experience another once-in-a-lifetime trip for kids: a "Frozen"-themed vacation. Or perhaps you should try to see the Northern Lights from Iceland, where you can also swim in the Blue Lagoon's hot springs. While cruising may not be a once-in-a-lifetime endeavor, chartering a sailboat and enjoying a barefoot cruise is certainly something that may cost a little more, but is guaranteed to provide some bonding time with the family. Instead of numerous dining rooms, arcades, waterslides, shows, and activities found on the larger cruises, a charter is simply your family with a captain and small crew (maybe just a skipper/cook) and nothing but open seas in which to swim, snorkel and dive in. For meals, you will gather in the galley or on deck in your bare feet and swimsuits. For entertainment, you'll hike a deserted island or wander around a small port. It's one-on-one time in a gorgeous setting, most likely the Caribbean. A great area for barefoot cruising is the British Virgin Islands, which offers more than 60 islands to hop. The Wild West is truly America's last frontier and a visit to a dude ranch is a vacation like no other for your kids. Joining a dude ranch for a week will ensure a technology-free vacation in which you and your kids will sit around a campfire and just be together. Of course, there is some work before that point: trail rides, fishing, hiking and more. Family dude ranches provide both roughing it and luxury options (think spas). Even if you are not the outdoors-y type, someone will be on hand to help you saddle up, bait up, and call out the do-si-dos on the evening square dances. 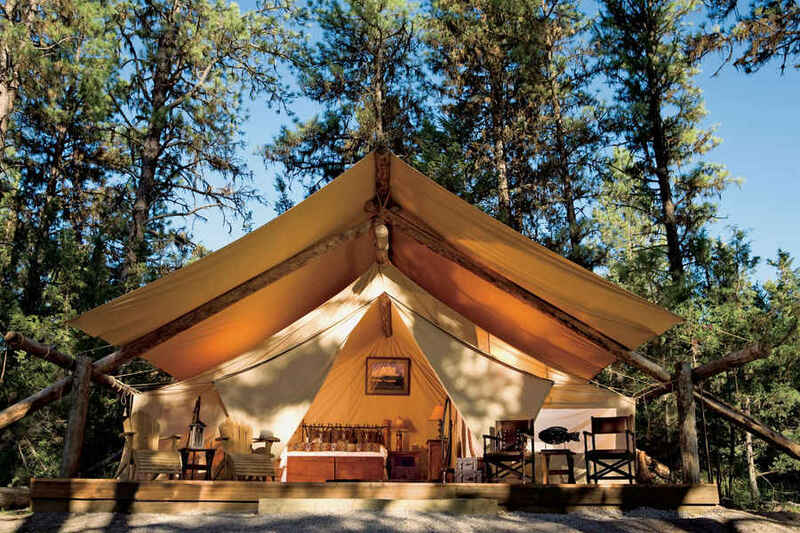 Check out our list of the 10 Best Dude Ranches for Families for ideas. This one is easiest to do, of course, when the Olympics are held on U.S. soil, so even if you do not want to fly overseas to witness the entire world come together in a competition that dates back to Ancient Greece, you can save for the day they return. The next summer games, in 2020, will be held in Tokyo.